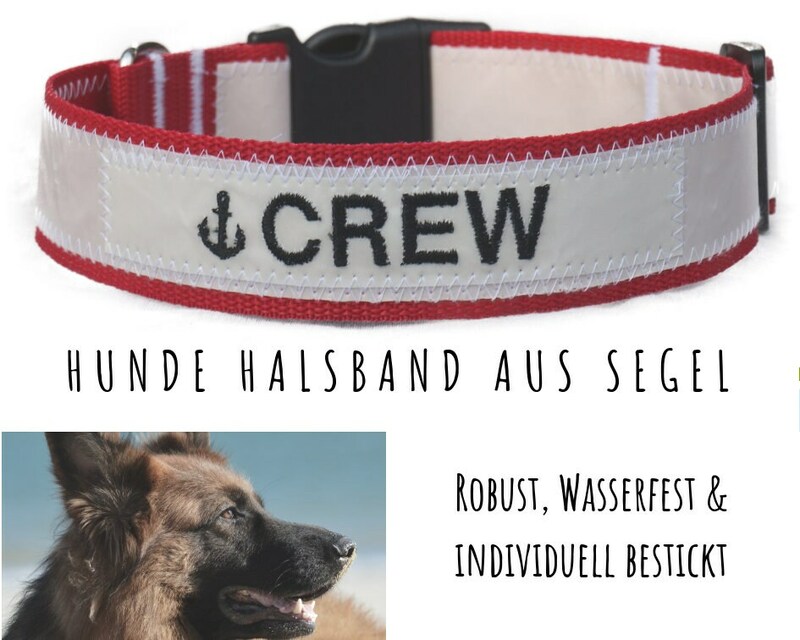 Robust red 4cm wide dog collar with sail and embroidery. The recycled sail was placed on a 4 cm wide polypropylene red strap with the zigzag stitch typical of sail. 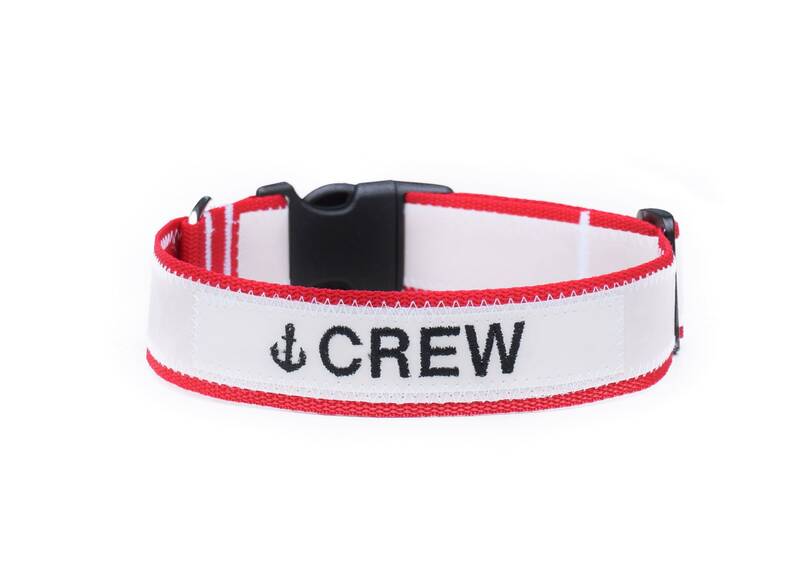 With black embroidery yarn, the word "crew" as well as an anchor are embroidered. The collar is adjustable and therefore suitable for a dog with a 53-61 cm neck circumference. The exact length can be precisely adjusted by means of a slider. All our collars are natural sea and saltwater and can be cleaned at 30 degrees in the washing machine. Please wash in the extra washing bag in the bag.